URGENT: Congress votes today on whether to gut Internet privacy. Contact the House Freedom Caucus! 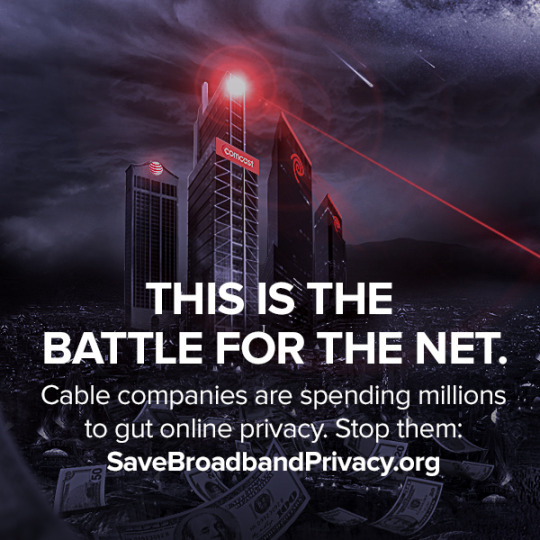 The House of Representatives will vote today on a Congressional Review Act (CRA) resolution to gut the FCC’s broadband privacy rules that prevent Internet Service Providers like Comcast, AT&T, and Verizon from selling your personal information – like browsing history and real-time location – to advertisers without your consent. The rules that could be repealed also prevent ISPs from injecting ads into your web browsing, installing undetectable software on your devices to track your activity, and deploying systems to undermine encryption. When ISPs collect and store this information, they will also be making it available to the Federal government and law enforcement through bulk surveillance programs. The measure passed the Senate last week, and it was a strict party line vote with 50 members of the GOP voting to gut the rules. Given that many members of the House Freedom Caucus have taken strong previous stands for American’s right to privacy, it’s very important that we make sure they know that voters from across the spectrum want them to oppose this attack on our basic rights. Below are the names, phone numbers, and twitter handles. Please contact them now. The vote could come within hours.